An attic is an important part of a house. If it is an independent structure, then, the attic is usually where the old stuff goes either as keepsakes or relegated to the boxes during a refurbishment and renovation. As much as people want to keep their attic organized and under control since it is so far removed from the general living area, the attic often gets neglected. A great example of how things get lost in the attic is the scene in the Toy Story movies when Woody becomes a forgotten relic in Andy’s life and cannot imagine how soon the young boy has forgotten his old buddy. An attic can slowly turn into a repository of junk you don’t need and memories you have forgotten. While you keep thinking you will get it organized, it never really happens. This is why attic cleaning needs professionals. 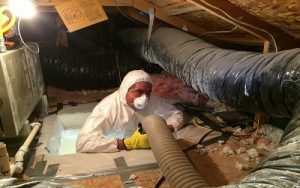 We have a few compelling reasons why you should always use professionals for attic cleaning. You don’t need to shift around all those big boxes of things that will either end up giving you sciatica! A professional service will have all the tools handy to make sure that the big boxes of things are moved around effectively and without injury. A lot of businesses are going the sustainable way these days, and attic cleaning services aren’t far behind. 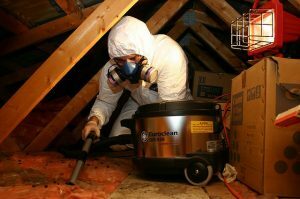 If you are worried about your attic’s junk becoming an eco hazard contact a cleaning service that is environmentally friendly. Organizing a space like an attic can be cumbersome. Especially for those who are hard-pressed for time. A professional attic cleaning service will ensure that your home is clean in the shortest time possible without all the hassle of nostalgia! 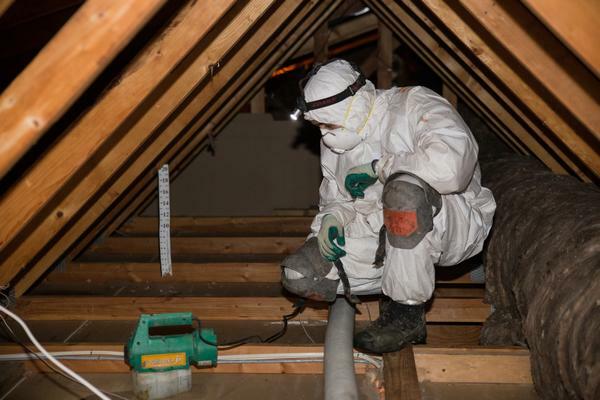 If an attic is neglected, the biggest hindrance to getting it clean could be a rodent infestation. So, hiring a professional service means that you can prevent any danger from rodent infestations. A professional service will allow for a thorough cleaning and decontamination. Rodents are the bearers of many diseases and it is better not to risk your health for the sake of saving money. The better option in such scenarios is to take the time to clean out your attic or ensure that you store the things you might need – say a baby bed or seasonal clothing and footwear or luggage you need for traveling. However, using the attic as a place to dump things you never use and you never will use is the wrong thing to do. Ideally, one should aim to declutter their surroundings as much as possible and either give away things that aren’t in use or allow someone else to use it. Hoarding things can be very troublesome if you are trying to keep a clean house. So, make sure that you use your attic wisely and if ever things get to a point where you can’t handle it anymore, call in the professionals and let them handle it. DIY projects are great, but, sometimes a little professional assistance can go a long way.